I’ve recently come across the joys of one-pot cooking. I’ll say it’s because it’s efficient and you don’t waste as much water washing up, but in reality, it’s probably mainly my laziness. In any case, being able to dump everything in one pot and still coming out with a tasty meal is a win in my opinion! Usually, on Sunday nights, I like to spend some time in the kitchen, getting ready for the week ahead and preparing a packed lunch or two. I’m not a massive fan of sandwiches for lunch, so my lunches are usually something that could double up as dinner. I like something filling enough that I don’t end up snacking by 3pm. 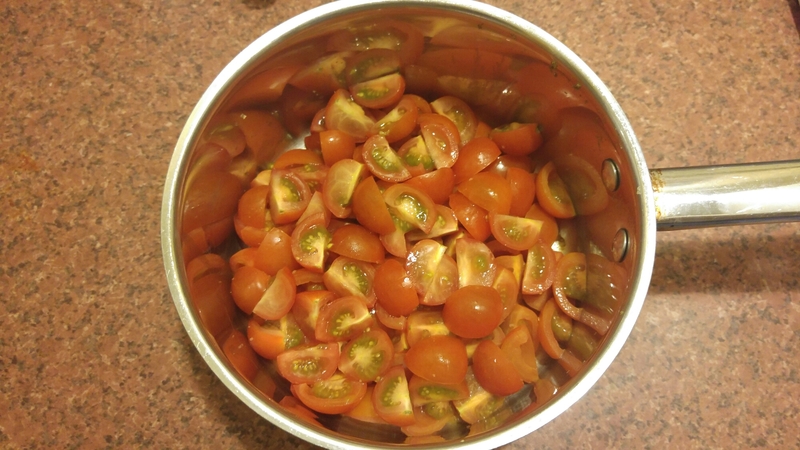 I started out with a bunch of quartered cherry tomatoes. I’ve gotten really fond of making my own sauces. I like knowing exactly what goes into it, instead of having a load of sugar or additives. I tend not to measure vegetable quantities, I just throw in whatever I have – it’s also a brilliant way to use up whatever you have left in the vegetable shelf. 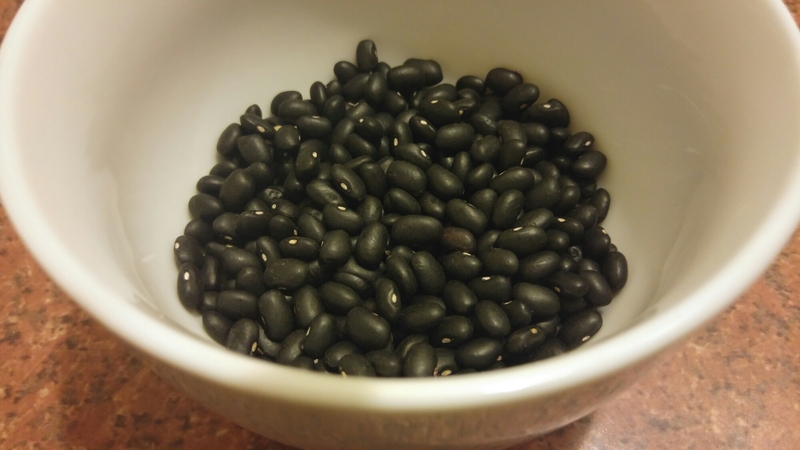 Black beans are easily my favourite kind of bean. They’re filling, protein rich and absolutely delicious. This is about 50g dry weight, which will double in weight when cooked. 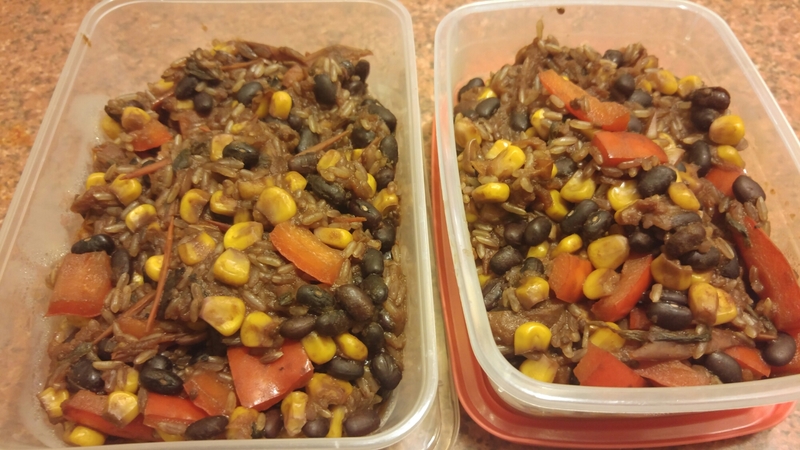 I thought this would be enough for two portions, but if I was to make this again, I’d probably throw in more beans than rice. Can never have enough basil! 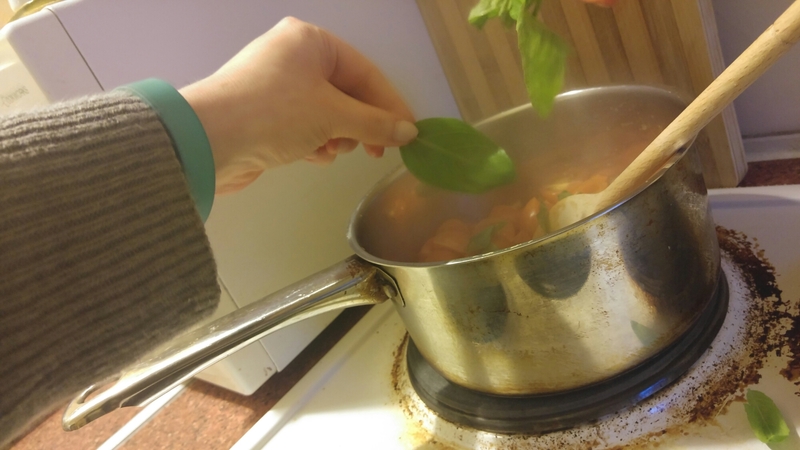 It’s easily my favourite herb ever, and only fresh basil will do. The dried stuff just doesn’t taste the same. Transfer to lunch boxes and let cool before putting in the fridge! The finished product! Food photos in a tupperware box are not the most appealing, I know, but trust me when I say this is a great lunch food. It travels and reheats well, and it kept me full all day. It’s also vegan and pretty healthy – although you could add cheese or chicken or whatever you like to it. If you try it out, let me know how you liked it!